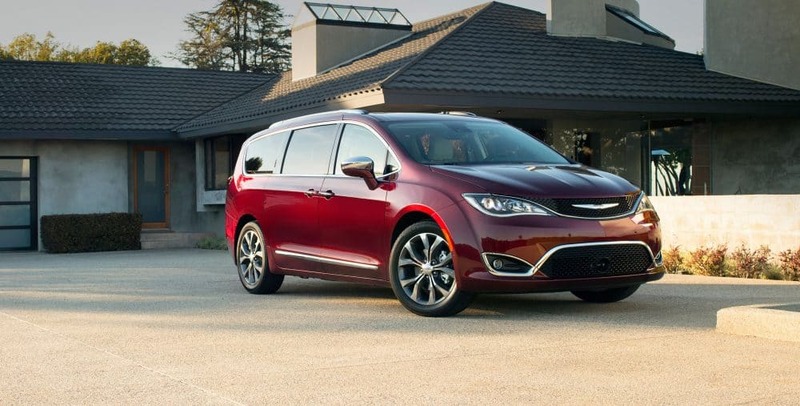 The 2018 Chrysler Pacifica is the minivan of the 21st century! 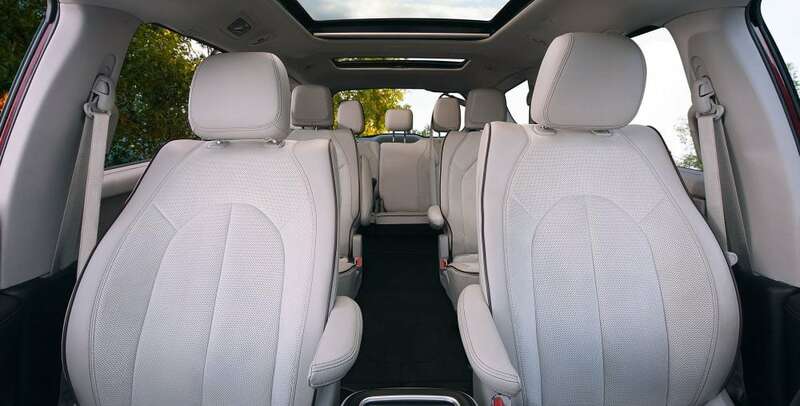 With available incredible technological advances like an entertainment system for the back seats and safety features that can practically park your car for you, there is no competition! 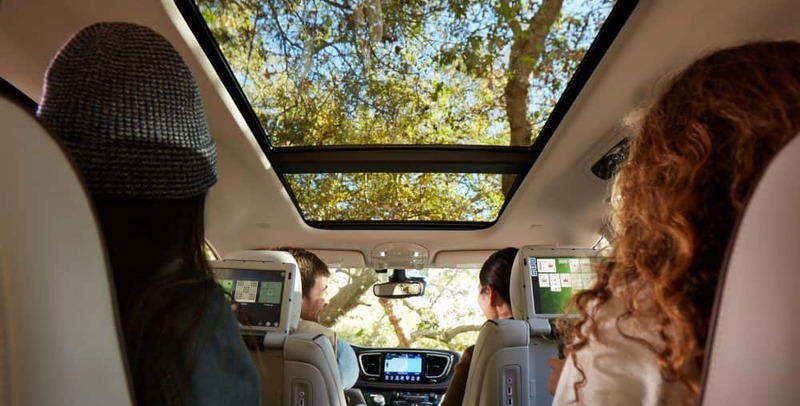 Read on to learn even more about this family friendly minivan that would be perfect for you and your kids. 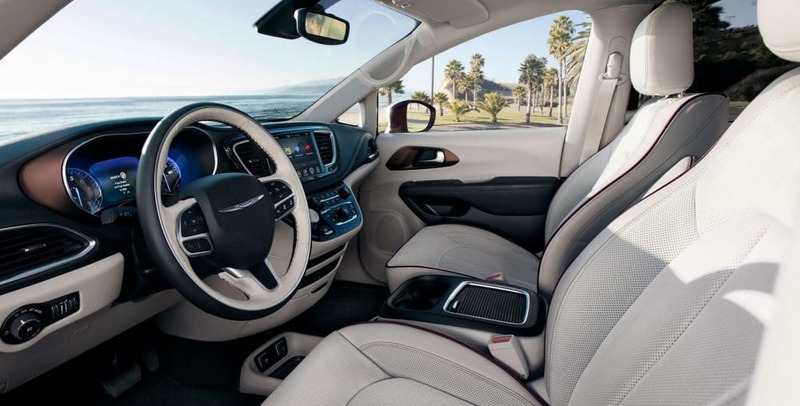 What kind of features are available in the 2018 Chrysler Pacifica? 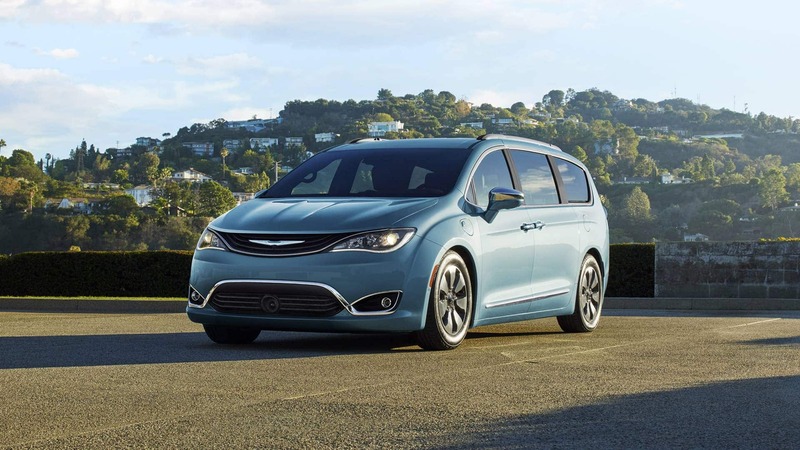 The 2018 Chrysler Pacifica comes in six different tier levels; the L, LX, Touring Plus, Touring L, Touring L Plus and the Limited making the customization options for this minivan endless. The new Pacifica's body structure made with dual-phase, high-strength, lightweight steel is the stiffest and lightest in its class, which makes it more responsive to lower levels of body roll and has an enhanced ability to absorb and distribute road inputs. The Pacifica also features class-leading aerodynamics that contributes to the unsurpassable fuel efficiency. Optional exterior features include a tri-pane panoramic roof, segment first hands-free sliding doors and a liftgate that can open with just a kick of your foot! On the inside, there is room for eight passengers comfortably. There are many technological options like a Uconnect Theater entertainment system that has two 10-inch seatback touch screens, and a 7-inch full-color driver information display with the acclaimed Uconnect Access with many other features. 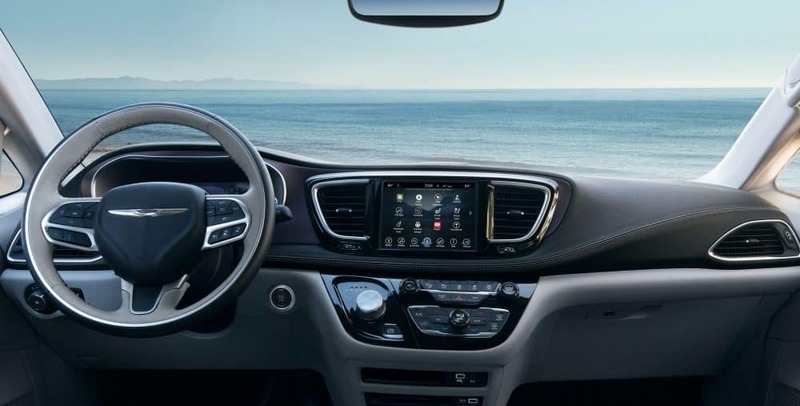 The Uconnect 4 system comes with a 7-inch or an 8.4-inch touchscreen and standard Apple CarPlay and Android Auto plus optional 4G Wi-Fi! Also available for all your clean-up needs is the Stow 'n Vac integrated vacuum that is powered by RIDGID. The Stow 'n Go seating and storage system with Stow 'n Go Assist and Easy Tilt has been redesigned for even easier access so nobody has to crawl through the trunk to get to the third row anymore! To wrap it all together are two new exterior colors for the 2018 model year: Copper Pearl Coat and Ocean Blue Metallic. What engine will be powering the 2018 Chrysler Pacifica? 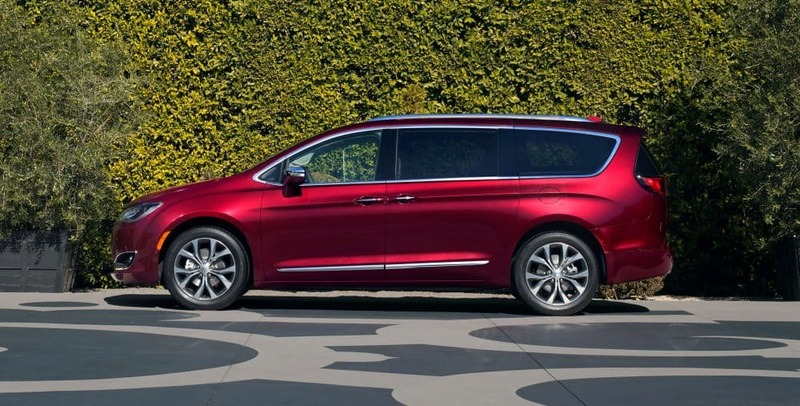 The engine powering the 2018 Chrysler Pacifica is a Pentastar V6 gasoline engine matched to a segment-exclusive TorqueFlite nine-speed automatic transmission which delivers 287 horsepower and 262 pound-feet of torque. 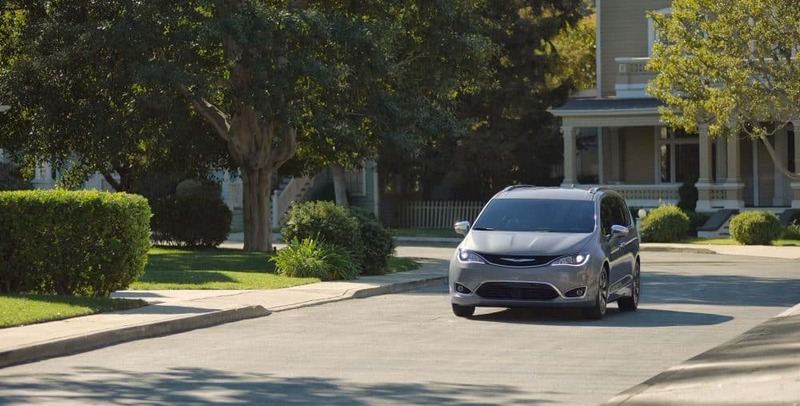 The Pacifica boasts a fuel efficiency of up to 28 miles per gallon on the highway and has a towing capacity of 3,600 pounds, you can bring all your favorite toys with you wherever you plan to go. 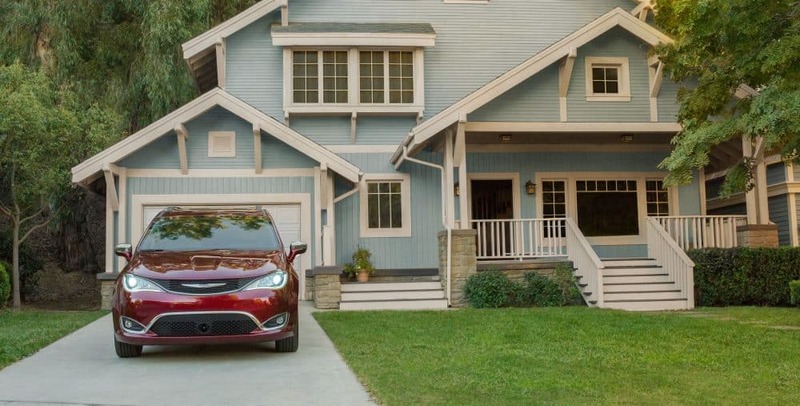 What safety features are available with the 2018 Chrysler Pacifica? 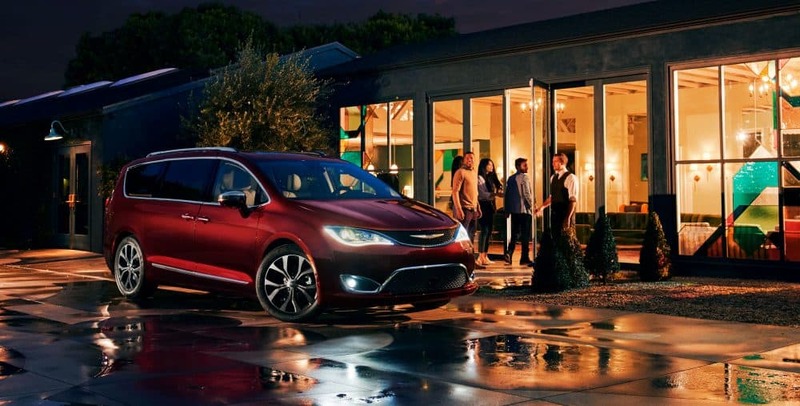 There are more than 100 available safety and security features available on the 2018 Chrysler Pacifica. From the SafetyTec Group that includes ParkSense Rear Park Assist with Stop, Blind-spot Monitoring, and Rear Cross Path detection to a 360-degree Surround View camera and ParkSense with Parallel and Perpendicular Park assist that basically park your car for you in those tricky situations! Adaptive Cruise Control with Stop and Go and Forward Collision Warning-Plus are also available as optional add ons. If you are in the market for a minivan that can tote your soccer team to and from practice, hold all their gear and clean up after them with an optional vacuum, then the 2018 Chrysler Pacifica is the one for you! Come in today to ask all your questions and test out this incredible and spacious minivan for yourself!